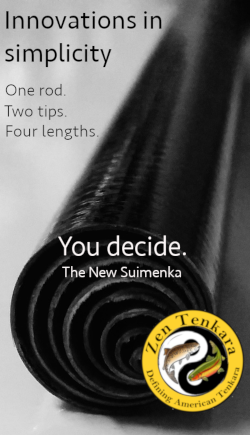 I first heard about zenmai a few years ago in a blog post from Tenkara USA. 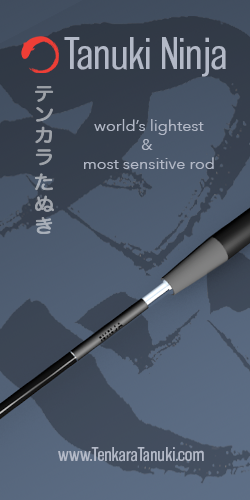 What is zenmai? 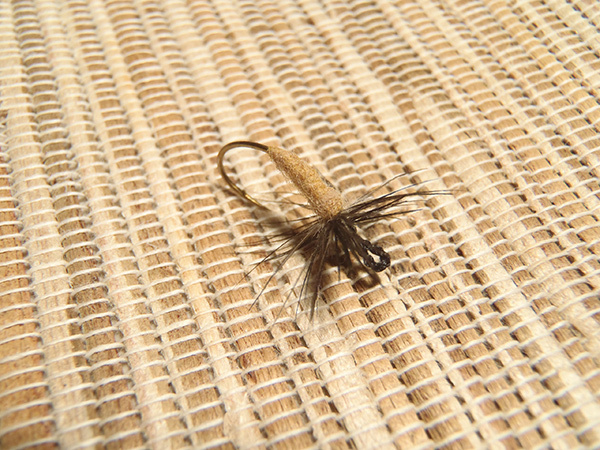 It’s a fuzzy fiber that grows on sprouting fern plants in the spring and Japanese anglers use it as dubbing material. 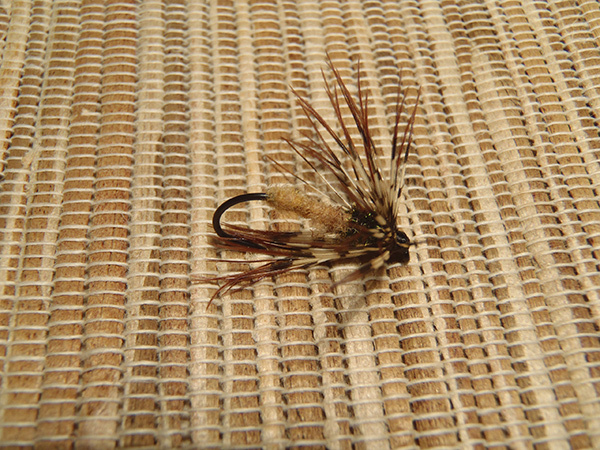 It might seem strange to use vegetation as a tying material, but it actually makes quite good dubbing. One thing I really like about zenmai is the color. It’s a beautiful carmel/brown with some light and dark variegation mixed in. As I said in a previous post, there’s just something about the elegant aesthetic nuances of natural materials that can’t be matched by the modern dying process. It’s almost like dying a natural material strips it of its soul. Since ferns are common pretty much everywhere, I’ve always vowed to forage for them here in Colorado and collect my own zenmai. 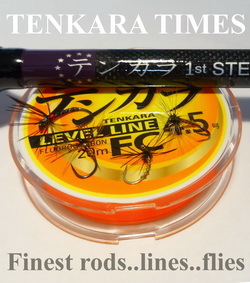 But the timing never seemed to work out, so I gave up and ordered a package from a Japanese company called Tenkara Ya. 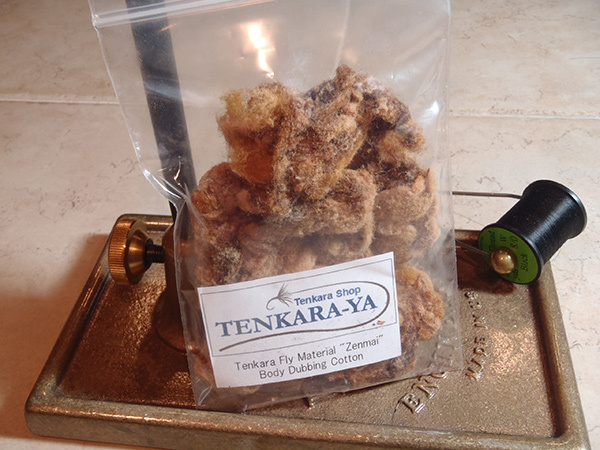 As you can see, this material is very dense and you get a lot in a small bag (probably enough to tie a couple hundred flies). Zenmai has a reputation for being somewhat difficult to work with, but it really isn’t if you follow these tips. 1. Fluff it up. Since it’s so dense, if you just pull a clump straight off and dub it, the body will come out lumpy and uneven. 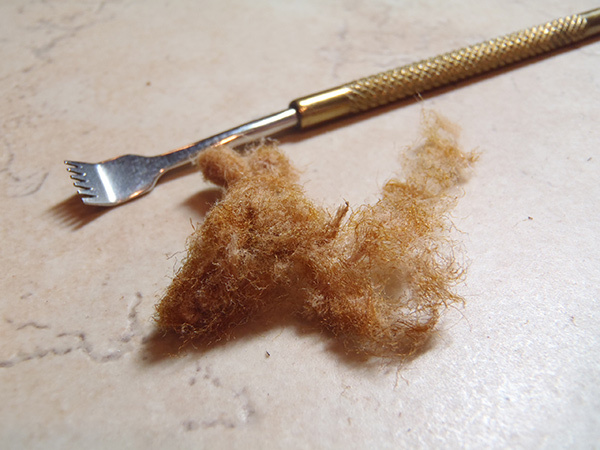 Instead, use a dubbing rake or comb to fluff up the fibers and thin them out first. In the photo below, the left side is the dubbing right out of the bag and on the right is what it looks like fluffed up. It’s best to try to keep the fibers in tact and not break them into little pieces so they wrap around the thread tighter. 2. Use dubbing wax. 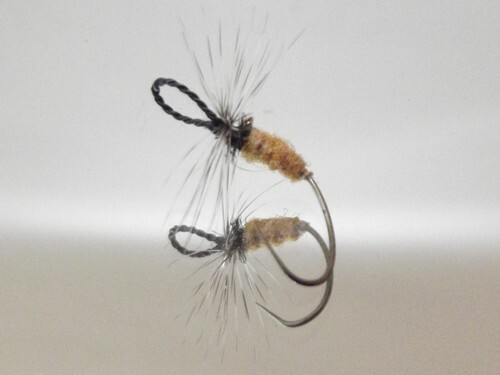 I almost never use dubbing wax on my flies, but it makes a big difference when working with zenmai. 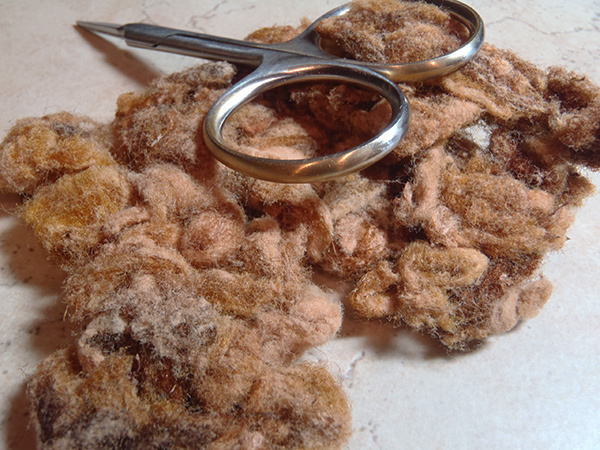 The fibers are courser than most of the furs we typically use for dubbing and don’t stick to the thread well. Dubbing wax will make it stick to the thread better and form a smoother body. I use Swax but pretty much any wax will do. 3. Use less than you think. A lot less. A little zenmai goes a long way. Use a very sparse amount otherwise you’ll end up with a body that’s thicker than you wanted. I was really surprised at how little I needed to make a relatively thick body. 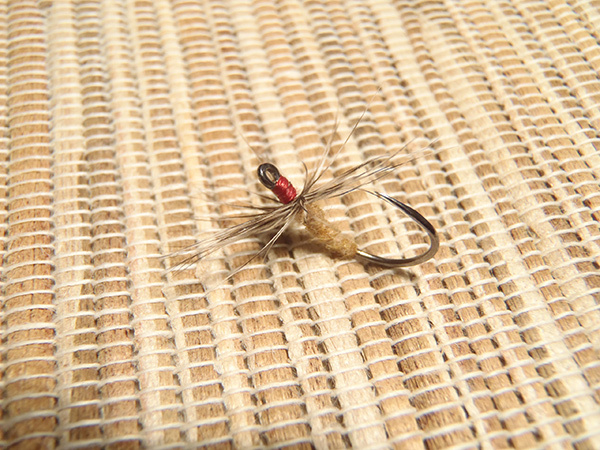 One of my early fly tying mentors once told me, “put as much dubbing on the thread as you think you need. Now, remove half.” And that’s probably a good rule of thumb for zenmai. I can’t see any practical advantages to using zenmai other than I like the color and I think it’s fun to experiment with unusual tying materials. 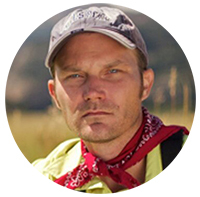 I think it would be fun to harvest your own too–giving a nice back story to the flies you tie with it. 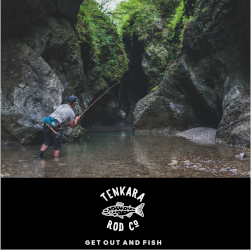 I don’t know the history of zenmai, but I imagine it’s got something to do with how most of the gear in tenkara originated; early tenkara anglers cut off from the outside world had to make do with what they had readily available and be resourceful. So if that fuzz on a fern works to tie a fly, why not use it? Not sure if that’s what really happened. But it’s a nice story. Early to mid may is fern time in central Wisconsin, if your lucky you can also find moral mushrooms. When I pick “fiddleheads” they have a white fiber covering them, is this what they make that dubbing with? Fiddleheads, moral mushrooms and fresh caught brooktrout make a wonderful streamside lunch. 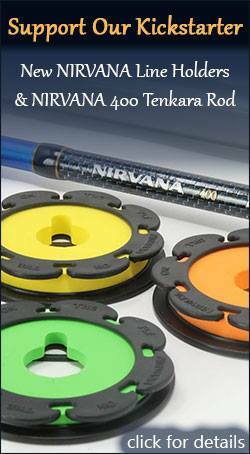 About the “white fiber”, I believe the color changes depending on the timing. I’ve never tried Fiddleheads but they look delicious. Indiana has at least 8 genera of ferns and I’ve found at least 4 of them in my woods at my farmhouse. Those that thrive the best are mostly on the north facing slopes of the hollows. But I have never seen the fuzz on young shoots in any color but white – maybe an off-white. Maybe it changes color after you pick it off the shoots? You could always buy the Japanese fern and plant it to get the color you want, it is readily available. Though I wonder if a nutrient in the soil might be what changes the color? I also wonder if the Japanese fern has a more robust zenmai than any American fern. Let’s see…. $7/5 grams is about $600/lb (figuring a bit off for waste). That’s about the price of so-so ginseng root. But getting a pound of the stuff would probably take a week and by then the ferns would be shed of it and it might be rotting. Might have to check it out this spring. Really don’t know what I’m talking about here so it would be great if someone with botanical knowledge could weigh in. Not sure if the color is dependent on the species or the time of harvest. Yeah, I’ve got those genera of ferns. I’ve just never seen anything but white zenmai on the sprouts. That is why I was wondering if it is a nutrient that might be missing. My soils are loessal which means they are basically quartz silt and ground-up, wind-blown limestone from the glacial valley train to my west and are thus rather basic (non-acidic) soils. Could be missing something with that, I was thinking probably iron which would tend to a more acidic soil. I’ve had to dump pounds of chelated iron around some evergreens to get them to grow. Eric, that is a beautiful fly!